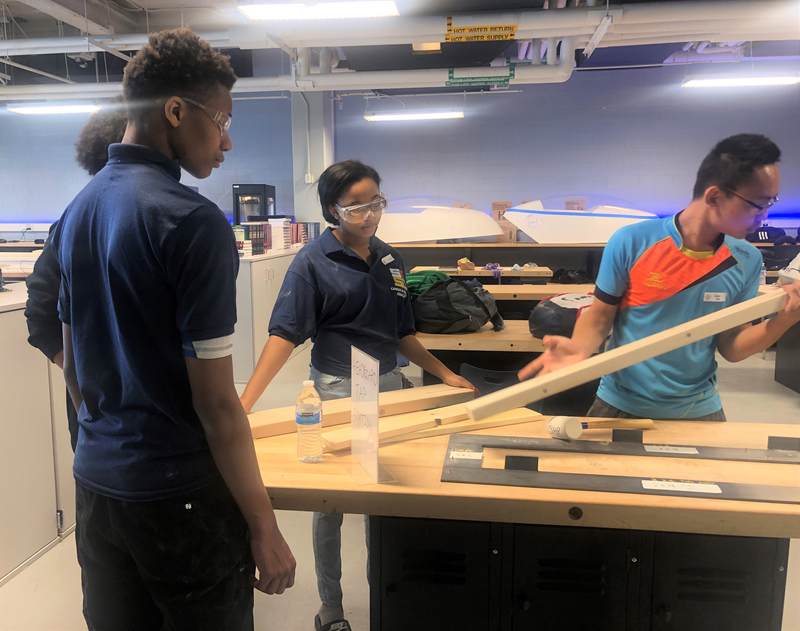 Students measure and cut the pieces of lumber to build a bed. 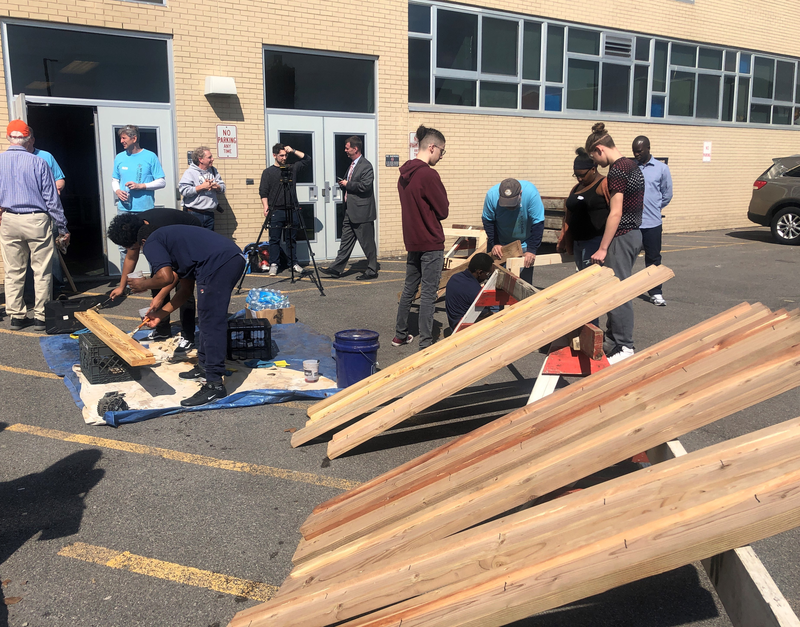 Engineering high school students in Syracuse spent the day building bunk beds to help kids in need of a comfortable place to sleep. The Institute of Technology at Syracuse Central is collaborating with non-profit ‘Sleep in Heavenly Peace’ which will deliver the beds this weekend. Syracuse high school students put their engineering skills to work and built bunk beds for children in need. P-TECH Engineering Teacher Chris Nolan says it’s a good opportunity for students to apply their knowledge to practice while helping the community. Tenth and 11th grade students are taking part in the project. Nolan says students aimed to complete six beds Friday; however, they might exceed their goal and finish around 10 beds. Student Mahogony Richardson says is enjoying the project and plans to do it, again. Students also did some of the work outside. The program could be expanded to become a part of the school’s curriculum due to high student interest. Nolan says it’s inspiring. The next bed building project for the Marcellus area will take place in June.